Complete tripod consisting of a Triman Tripod 3246 and a 501HDV head. Strong, sturdy and reliable, the Triman tripod is the ideal studio tripod. The geared center column has a non roll-back feature and has a threaded 3/8” mount on the bottom of the column to allow low angle shots. Twin shank leg design, built-in spirit level and rubber feet with retractable spikes are standard features. 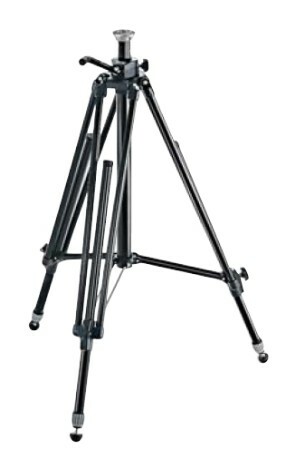 The tripod uses a center column strut design for added stability. Includes a mid level spreader and carrying strap. 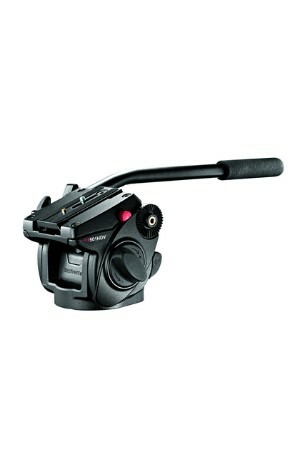 Ideal for cameras up to medium format. Inside the 501HDV is a fixed counterbalance spring (set for a typical weight of camera + accessories of 2.5kg) that helps ensure both smoother tilt movements and greater equipment safety even when tilt locks are inadvertently left off. The easy-to-reach on/off switch allows the counterbalance system to be disengaged or re-engaged for different filming setups. But from the outside, the first thing that you’ll notice about the new 501HDV video head is its updated design – completely retuned for much improved ergonomics with locks and knobs that allow a more solid grip and better fi ngertip control. The 501HDV inherits its separate pan and tilt locks, gradual tilt friction adjustment system, flat base (with standard 3/8” thread), quick release camera plate and repositionable pan bar from its succesful predecessor.